3 / 366 – Today was the first time I have filled up with diesel in 2012, with the new 2 percent VAT increase being reflected in the price. 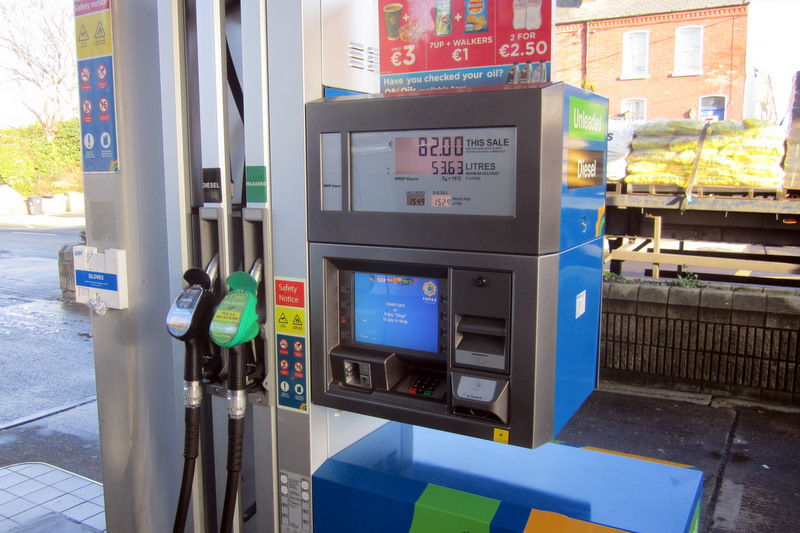 As part of Budget 2012, petrol and diesel prices were increased by €0.014 cent and €0.016 cent a litre respectively. This was further compounded by an additional VAT increase introduced on the 1st January. The cost of a litre of diesel in the local garage is now 152.9 cent. Thankfully I didn’t need a complete fill, with this trip costing €82.00. I hate to imagine what the full 68 litres will cost.